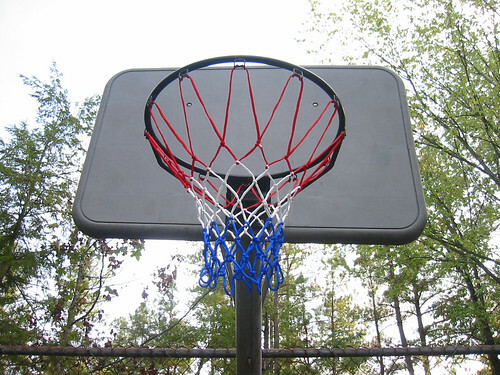 In anxious anticipation of college basketball season in Chapel Hill, North Carolina we put up a new net. Our communities court is pretty messed up from neglect but its wonderful to even have one. We’re shooting some hoops for fun and to get a little exercise. Maybe other people will use the net now. You should have seen the one that was up before!